On Youtube-channel Thirdphaseofmoon, which specializes in paranormal phenomena, posted another video with a strange find on Google Maps. 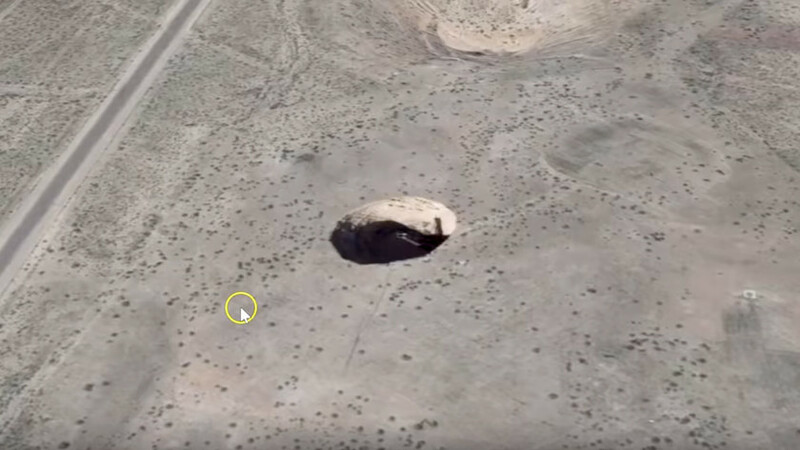 Unusual object found near the famous Zone 51 in Nevada. This is a secret military base of the US Air Force, where experiments are conducted in the field of aviation. Seekers of extraterrestrial civilizations and conspiracy therapists believe that in Zone 51 they conduct alien exploration and experiments. Therefore, unusual features are attributed to any object that is found next to it. This time, in the pictures with Google Earth, they found a round hole, from which something similar to a spigot sticks out. On the video it is difficult to draw any definite conclusions about what kind of a strange pit. Most of all it looks like a foundation pit dug out for repairing a pipe. But such a simple version does not suit commentators for video. The most popular version: the “abnormally round” funnel remained after the tests of nuclear weapons. One of the commentators even offered to equip an expedition to Nevada in order to sort things out on the spot. Next story The existence of full rubies and sapphires of exoplanets is predicted.